When and where were newsreels shown? What was a newsreel cinema? Why were newsreel cinemas popular? Describe the events that are shown in the 1926 Royal Show newsreel. The newsreel clip is silent. Would viewers in 1926 have watched it with no sound at all? Give a reason for your answer. List FIVE specific things that an historian researching life in Australia in the 1920s could learn from this newsreel. 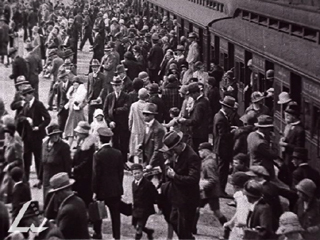 How did the introduction of sound affect or change Australian newsreels? Create a storyboard showing how this newsreel would change if sound was available to the filmmakers. Don’t just think about the sounds that the audience would now hear – include new sound dimensions such as interviews and a voiceover. Use the link below to help you to construct your storyboard.